Apple’s new AirPlay 2 streaming standard has been a long time coming. But after nearly a year in development, AirPlay 2 is finally live in iOS 11.4. AirPlay 2 is an update to the standard streaming platform. 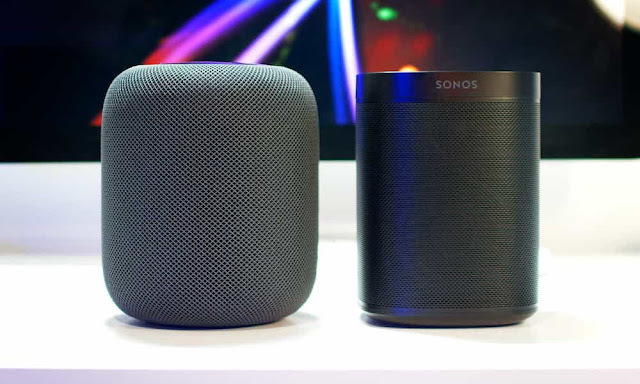 Notably, it introduces multi-room audio, stereo pairing for HomePod, and the ability to ask Siri to play music in specific rooms or throughout a house. It also adds a number of under-the-hood improvements, like the ability to take phone calls without interrupting currently playing audio. Currently, only Apple’s own HomePod supports AirPlay 2. But Apple has released a list of devices from several manufacturers that have been officially confirmed to adopt AirPlay 2 in the future. Those manufacturers include Sonos, Bang & Olufsen, Libratone and Naim, among others. Confirmed devices, as of the writing of this article, are included in the following list. Of course, this list doesn’t represent every speaker that will be compatible with AirPlay 2 in the future — it’s just the ones that Apple has handpicked to announce thus far. The list will likely be updated as manufacturers confirm and reveal their own AirPlay 2-supported products. Moving forward, products from Beats, Bose, Devialet, Polk, Bowers & Wilkins, Bluesound and Dynaudio will also support AirPlay 2. But exact models from those OEMs have yet to be confirmed. It’s also worth noting how users will get AirPlay 2 support. Some manufacturers have said that compatibility will be rolled out in a routine software update. At this point, that list includes Naim, Libratone and Sonos. For other OEMs, however, users will need to buy a whole new speaker to be able to use AirPlay 2. As far as when the AirPlay 2 compatibility will officially launch, it varies from manufacturer to manufacturer. Bang & Olufsen announced that their set of speakers will be compatible with the updated streaming standard later this year. But other manufacturers, like Sonos, haven’t set any firm launch dates.